It feels like it’s been ages since the drama and emotion of a truly amazing Hungarian Grand Prix, but at last F1 is back, and it returns to one of its most iconic and historical tracks – Spa. In some respects this preview feels like a milestone for me – it was with Belgium that I started my F1 race reviews last season. 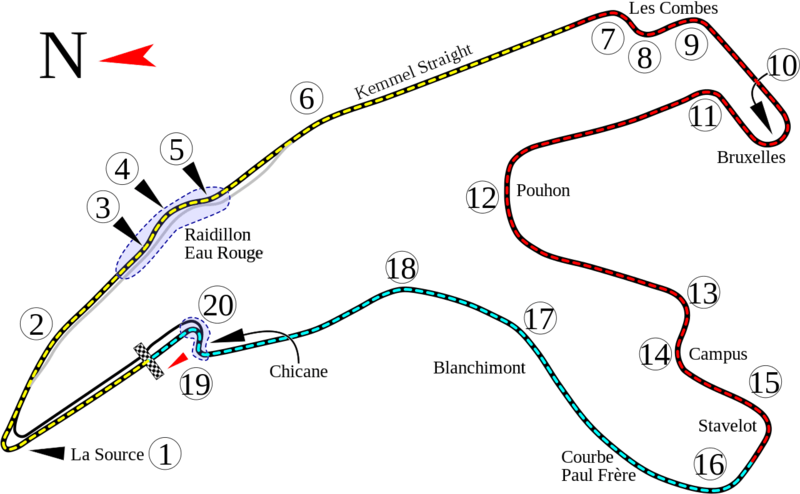 With a long history of hosting motorsport, Spa as a circuit has undergone significant changes down the years. At one stage a single lap around this quick track was over 8.7 miles long (almost double that of today). The current incarnation of Spa has existed in some form or another since 1981. The 4.3 mile lap is one of F1’s most challenging for drivers and teams. With a combination of long, fast straights and winding sequences, nailing the car setup here can be a serious challenge – sector 2 in particular demands good downforce, but you don’t want to carry that in sectors 1 and 3! Another unique variable with Spa is the weather. It’s been known for parts of the track to be bone dry whilst other sections are sopping wet – another potential challenge for everyone to contend with! All in all, it adds up to a good race. Start procedures are being revised here. After some poor starts for the Mercedes boys, it will be interesting to see if these new procedures help or hinder them – it will be fascinating to see what impact they might have on the title race. Vettel may yet be thinking that he has an opportunity to close the gap, especially given his performance last time out, whilst Honda are aiming to bring much-improved power units to Belgium – time will judge what (if any) significance this has.